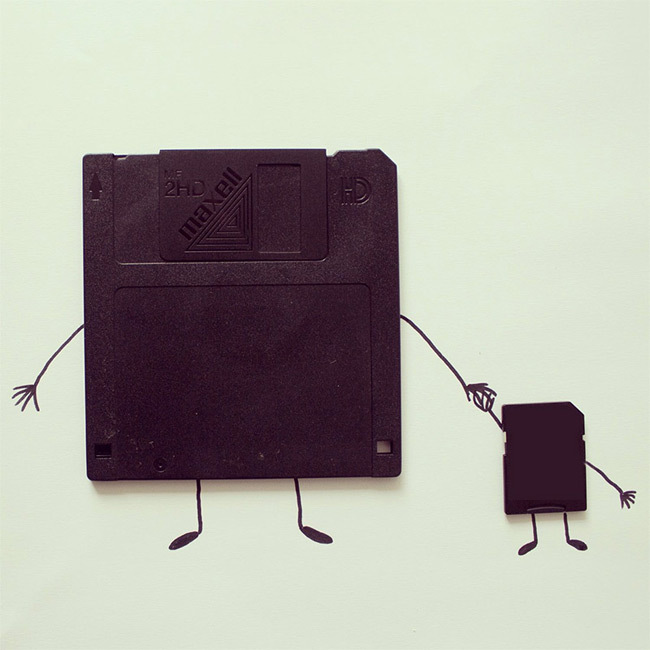 It's a fun and creative way to look at an object, even seemingly mundane ones, and reimagine them as something else. It must have happen to you while looking at pile of stuff to see a shape of something really funny. 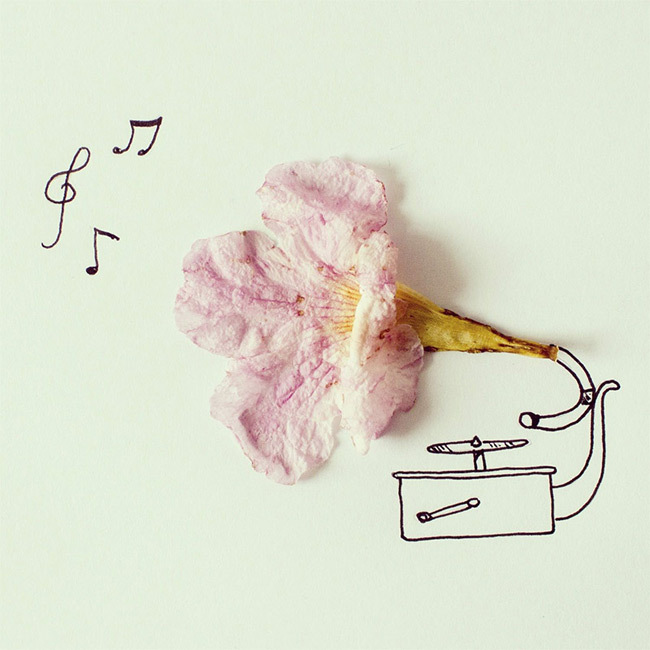 Usually those little creative moments spice up our lives. 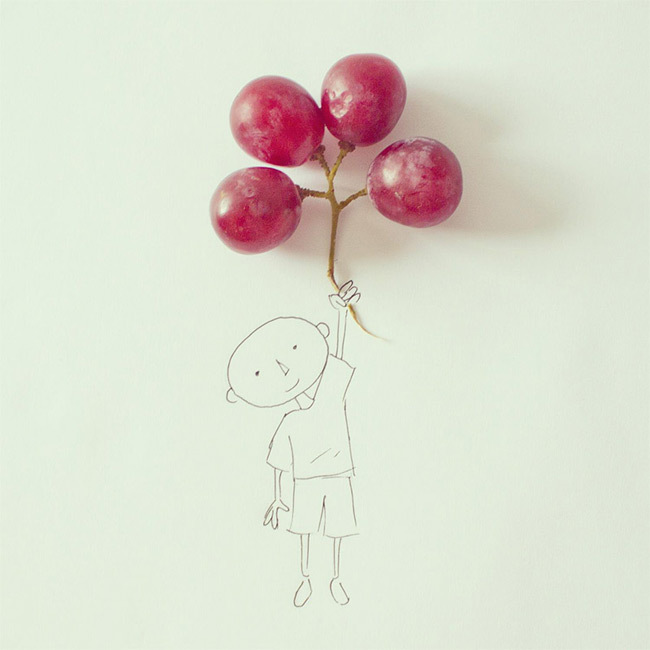 That is exactly what Ecuador-based illustrator and art director Javier Pérez has been doing for fun. Pérez has been posting a fun series of photo illustrations over on his Instagram account few times in a week. Few extra lines added on everyday objects like paper clips, coins and scissors is what makes his photography very interesting. 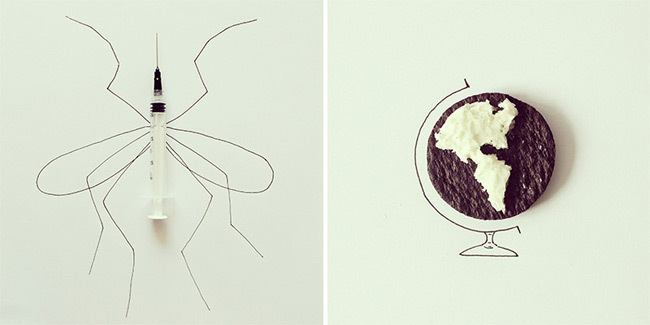 The simple ideas and unexpected line drawings will make you love his work. 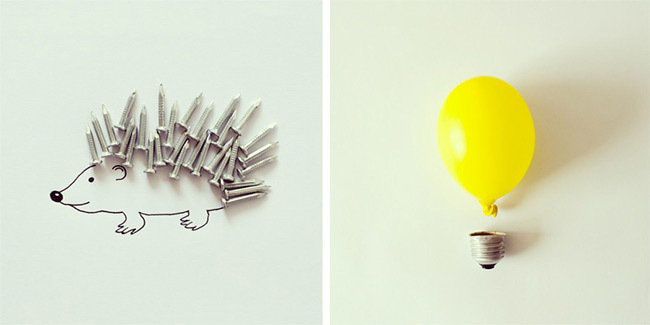 He is creating balloons out of grapes, porcupine quills out of nails and light bulbs out of balloons. The idea is transforming the objects into something completely new and different. 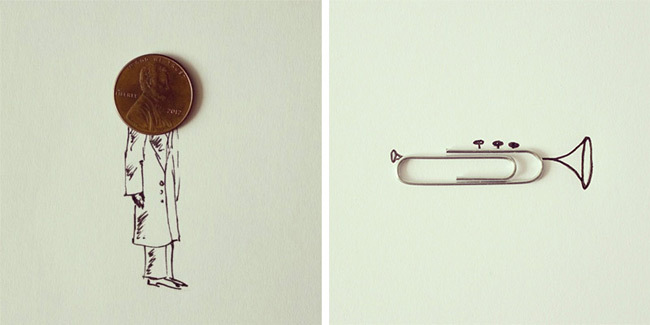 Javier Pérez aka cintascotch, is an artist and illustrator from Guayaquil, Ecuador, who likes to give life to everyday objects with just a few pen strokes and a lot of humor. 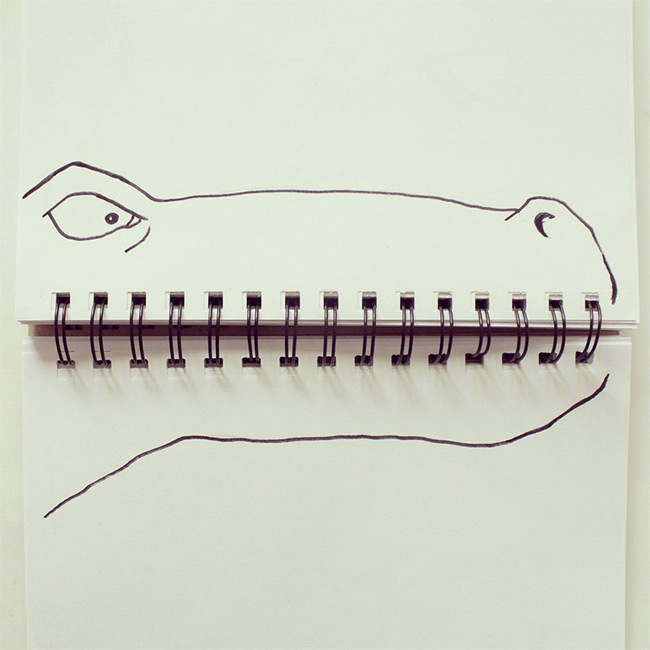 A few times a week, Pérez shares a new doodle with his 20,000 Instagram followers.